A quick and tasty meal. 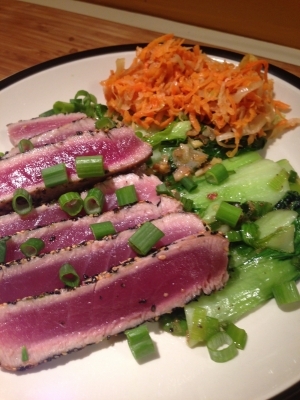 Seared ahi tuna is one of the most delicious meals you can eat. It honestly takes less than 10 mins to cook and prepare. If you are looking for a fast weeknight meal this is it!